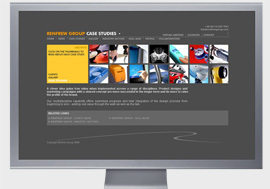 Renfrew Group: print design for a Midlands product design consultancy. Two of a series of adverts that appeared in an american engineering magazine. 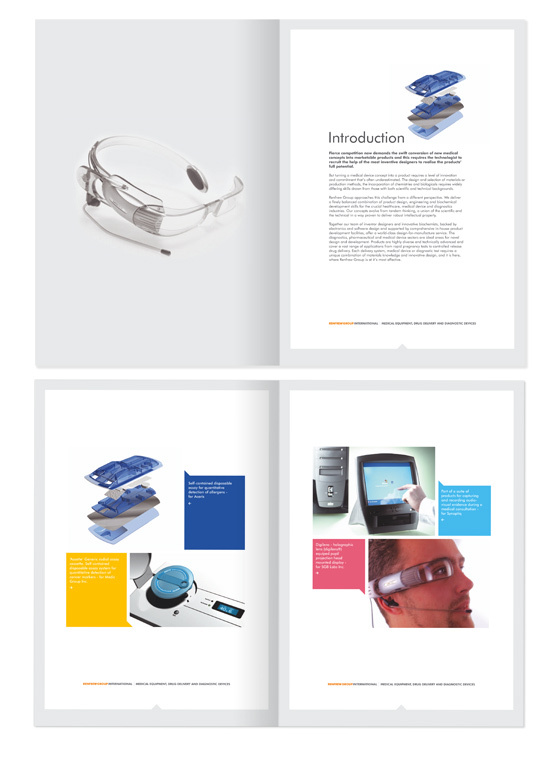 A brochure showcasing the work that the consultancy has done in the field of medical product device design. 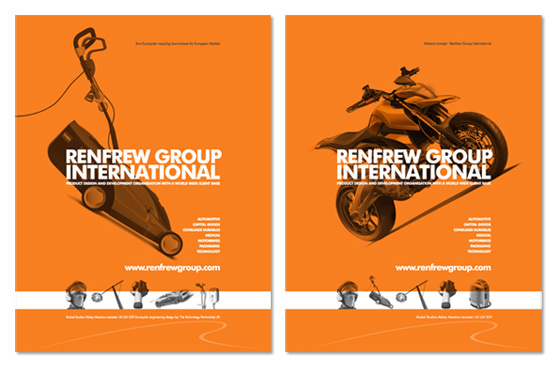 Renfrew Group: identity and stationery design.